Growing up in a rural part of Southwestern Oregon, Halloween was always a fun time. My friends and I would excitedly discuss where we were going to go trick or treating. We would get into animated arguments over who would become the next “King of Candy”! But…it was inevitable. I would always win the title! I was always…the “King of Candy”! What they did not know was that I had two secret weapons! I would head out through my favorite neighborhoods to go trick or treating. As I would show up on the front doorstep…the people would always cry out, “Casper the Friendly Ghost has arrived”! Each year, I dressed up in a white sheet with two holes cut-out for eyes and one for my mouth. (My mother loved it because it was so cost effective…each year it was the same sheet!) I wore that costume each year and leveraged my name (Casper) to trick or treating stardom! Becoming an “A-List Copywriter” is like trick or treating. “A-List Trick or Treaters”, work hard at being the best. They are diligent, charismatic and persuasive. They know how to separate themselves from the pack. They are determined to win! Trick or Treaters are masters of persuasion. These are the copywriter’s daily fitness routine. In the CrossFit world, we refer to this as the WOD or Workout Of the Day. Not always the same routine but focused on the same end result. Trick or Treaters are persistent. When is the last time you saw a “Trick or Treater” give up? Like never! “Trick or Treaters” are persistent. They take trick or treating seriously. They want to fill their bag on Halloween. They understand there are no trophies for second place. They are on a mission to succeed! They have done their research. 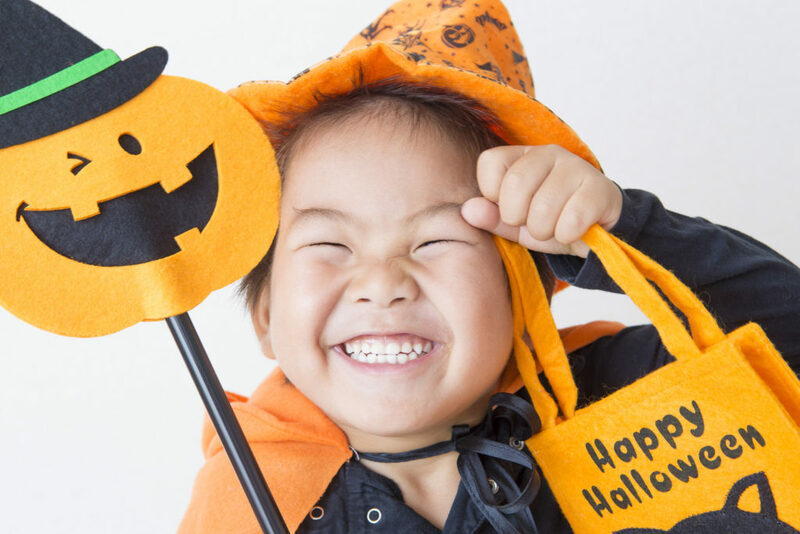 “Trick or Treaters” understand that cool makeup on their faces, creative costumes and a bubbly personality…will go a long way toward filling their bags with candy. “A-List Copywriters” always want to be in the winner’s circle. “A-List Copywriters” know there is only one way to win. Do your research. Know and understand what your reader needs. Above all, be persistent! As a copywriter, you won’t always win. You won’t always beat the control. But if you maintain that consistent and persistent copywriting fitness routine…in the long run, you will win! Trick or Treaters are not demanding. “Trick or Treaters” work hard at winning, but they are not demanding. That is because they are persuasive! They don’t need to be demanding. They are winning even before they ring the doorbell! “A-List Copywriters” are the same…persuasive, but not demanding. “A-List Copywriters” understand the pain points their readers face. They provide solutions for those pain points. This is the secret sauce of copywriting! Trick or Treaters have thick skin. “A-List Copywriters” have thick skin…a great quality to develop. Not every client is going to like your style of writing. There may be personality differences. It could be a philosophical difference. It could be none of the above. Just let it go. Don’t take it personally…move on! “A-List Copywriters” know how to respectfully leverage this approach. When you can incorporate this perspective, you are in control of your copywriting business. Trick or Treaters know what separates them from the crowd. They know how important it is to get their Halloween mojo on in a big way. “Trick or Treaters” understand that to separate themselves from the pack, they must be really creative. Unique costumes that reflect their favorite movie characters, complemented by personalized makeup specific to them…this is the essence of creating separation! As for being the “King of Candy” …I retired from trick or treating. In today’s world of “trick or treating”, I suspect that there are very few kids who are familiar with “Casper the Friendly Ghost”. If you still like to go trick or treating…share in the comment section your favorite story! Be sure to tell us how trick or treating has influenced your copywriting business. If you have questions or comments, click right here to connect with me right now!